Sapphire has sent us their Vid-2X display expander to review. This dual display expander is driver and software free and very simple to setup and use. There are two models of the Vid-2X to choose from, the first being a Display Port edition (PSEDP4196) and a DualLink DVI edition (PSEDV2185). The user who has a laptop with a display port, it is possible to continue to use your laptop’s screen, you can have up to three graphics accelerated display running at once (depending on your laptops graphics cards ability to render that much real estate). Most display adapters to date use a USB port to send software and CPU rendered content to a display, the Vid-2X takes graphic accelerated content from your computer’s display adapter and sends to both displays giving you much smoother rendering and takes the load off your laptops CPU. Lets take a closer look at this handy display expander tool has to offer. There are many laptop users out there who are looking to connect two monitors into their PC. The limitation in the past has been that laptops only have a single VGA port which would allow only one display or projector to be connected. Docking stations would allow you to connect two monitors but due to the additional price of a docking station, it was seen as a luxury to have. There are some solutions on the market up to this point that allow you to connect an additional display via USB 2.0. These USB2.0 displays did not use the GPU for processes, and instead relied on software. 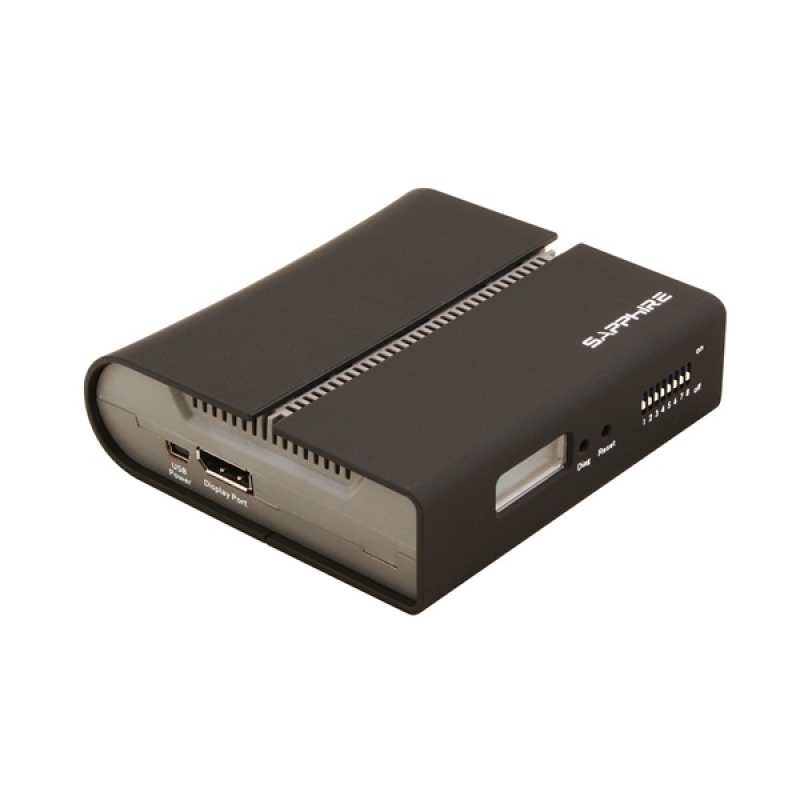 Sapphire’s Vid-2x plugs into your PC or Mac’s VGA or Display port and, depending on your video card, will be GPU supported. Break though traditional desktop workspace limitations with the Vid-2X. Sapphire’s Vid-2X is a neat little device that allows two monitors to be connected to a single Display Port or Dual-Link DVI output. Several Vid-2X external graphics adapters can be used to create advanced multiple monitor configurations.